WFN: World Fishing Network, North America's only television network, online and mobile platform dedicated exclusively to fishing and outdoor enthusiasts, announces an all-new original series, Beyond the Cast with JP DeRose, produced in association with Hook Line and Sinker Productions (HLSP) and premiering in January 2013. JP DeRose is recognized by viewers as the host of Getting School'd, which has aired on WFN the past four seasons. Each of the 13 episodes of Beyond the Cast with JP DeRose brings together a panel of experts consisting of a guide, a retailer and two tournament anglers to test and evaluate some of the best-in-class fishing gear, including rods, reels, lures and accessories. Four products similar in function and price range will be evaluated on performance, quality and durability by the panel every episode, with JP designing each controlled test and making sure it's properly conducted. JP will be on the water each episode, giving viewers the opportunity to learn proper technique application with some valuable pointers and helpful tips that involve the category of products being rated. Full recaps and results from the testing along with a panel discussion conclude each show. "When you take into account the availability of all the great fishing gear out there today, it can be overwhelming for beginner and advanced anglers alike to determine what may or may not be a good fit for them," said Mark Rubinstein, President & CEO of World Fishing Network. "Beyond the Cast with JP DeRose educates viewers on what to buy and why they should buy it in an objective and unbiased manner. WFN's mission is to help anglers make informed buying decisions so that they can maximize their enjoyment on the water." Beyond the Cast with JP DeRose will encourage anglers to contribute their personal reviews on Beyond the Cast online forums as well as Facebook and Twitter platforms. Said DeRose: "I want to encourage anglers to share their hands-on experience with the gear we're testing on the show; we want to know what he or she thinks of it. Whether it be good, bad or indifferent, Beyond the Cast will provide honest and unfiltered opinions on the best (and not so good) equipment out in the marketplace." 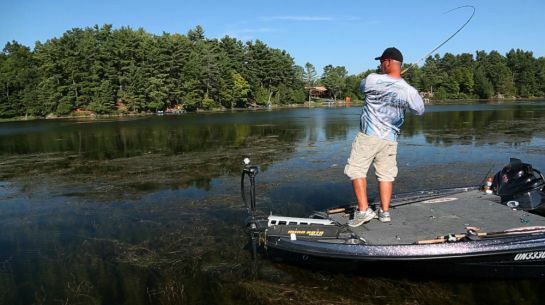 Host JP DeRose has been fishing for nearly 30 years – 11 competitively and six professionally – and has 130 Top 10 and 30 tournament wins to his credit over the past 11 years. President of the Canadian Bass Anglers Federation for the last seven years, JP's focus has always been to help people become better anglers. Additional information, including the full telecast schedule for Beyond the Cast with JP DeRose exclusively on WFN, can be found at www.worldfishingnetwork.com/tv/shows/beyond-the-cast.aspx. WFN: World Fishing Network, North America's only television network, online and mobile platform dedicated exclusively to fishing and outdoor enthusiasts, today announced its schedule of Fall programming featuring 15 new and returning television series. 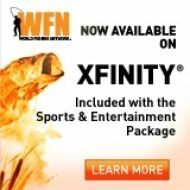 New shows debuting on the network include: the HT Redfish Series featuring 32 teams battling it out for the championship title; Backwoods Angler TV, where Eastern Pennsylvania guide and smallmouth bass specialist Blaine Mengel travels and fishes the rivers, lakes and ponds of the Northeastern US; Fish O Mania Home International, the four way international fishing competition of the United Kingdom; Westcoast Sporting Journal, presenting the best steelhead, salmon and Pacific offshore species fishing in British Columbia; and The Joy of Fishing, the Emmy® Award-winning television series hosted by Northwest angler Wayne Van Burger, following his worldwide adventures from fly casting to giant trout in Kamchatka, Russia to landing roosterfish in La Paz, Mexico. September starts with new seasons of Lunkerville, hosted by New York personality Mike de Avila, and Texas-based Jarrett Edwards Outdoors, the multi-species show dedicated to the public fishing waters of the Western US. New episodes will also air for Reel Animals with Captains Mike and Billy fishing the coastal waters of the Southeastern US, Water & Woods with host John Gillespie and his special guests on their quest for big fish in the Midwest, and the FLW Tour, the world's premiere bass fishing tournament circuit. Returning to WFN with new season premieres are: Fishing the Flats featuring Master Angler Henry Waszczuk landing barracuda, bonefish, permit and other strong-fighting shallow water species; Fish TV, with its exciting, entertaining and educational destination fishing throughout the continent; Fish O Mania, the United Kingdom's largest fishing tournament; Extreme Angler TV, featuring host Karl Kalonka's realistic insights about angling techniques, equipment and strategy; and Big Coast Sportfishing, highlighting saltwater sportfishing adventures up and down the West Coast. "The WFN programming lineup offers the widest array of entertaining and informative programming to over 45 million fishing enthusiasts in North America," said Pam Stinson, Director of Marketing for WFN. "WFN viewers will be treated to the debut of a large number of new series as well as the return of our most popular shows. It's the diverse offering of exciting and engaging fishing and outdoor lifestyle programming that has built an extremely loyal and continuously growing fan base for the network." For the full TV schedule, click here. Backwoods Angler TV is hosted by PA smallmouth specialist Blaine Mengel Jr. and produced in Eastern PA by Christopher G. Manley. Tag along with Blaine and his crew as they travel and fish across the Northeastern US, fishing both remote waters and those within casting distance of the largest cities in the area. Add loads of teaching, tips, and witty humor and you'll be educated and entertained. Called the fishing show "with an edge", Reel Animals Fishing Show features our two popular fishing captains doing what they do best—searching the scenic coastal waters of the Southeastern United States and beyond. They find all the fish biting spots. When our viewers get in the boat with Captain Mike and Captain Billy –they get two things; first – an exciting fishing adventure and second, a heck of a lot of fun! Beaver Hill presents the Emmy® Award-winning television series, The Joy of Fishing. From Oregon's Adventure Coast, follow Wayne Van Burger as he seeks out fighting fish at destinations across the world while learning successful techniques and cooking up gourmet seafood with the Oregon Coast Culinary Institute. Created by Emmy® Award-winning producer Travis Cooper, The Joy of Fishing is a cinematic blend of music, motion and nature as experienced through the people who love the journey.